And we have received a third reply! Those of the words of a hacked-off Star Wars fan. We sent that off, pretty much expecting to get exactly the same robo-reply as before, and I was preparing myself to escalate the communications somehow. Ooh, this one is actually different! “Thank you for contacting Hasbro UK Ltd.
“We would like to apologise if you feel that our previous responses were not satisfactory. “As the Monopoly Star Wars game was released before the latest film, Rey was not included as we were unable to release details of key figures. “Hasbro are producing Rey playing pieces that we will be sending out to all consumers that have purchased the version that did not include her. These will be available in the second half of 2016. Miss B was happy with this reply and, having read that Hasbro are planning to provide Rey figures both in new copies and to existing customers, she figured that they were making a good effort to fix the mistake. She’s not sure if she’ll write again to thank them for the better reply, but I think I’ll encourage this. And so we bring this little passage of events to what appears to be a close. If anyone from a large corporation happens to be reading this, it looks like the main take-away is that, if you get written to by an annoyed 9-year-old, the best approach is simply to write them a letter that actually addresses their concern at some level. Surely this isn’t rocket science. But thank you, Hasbro, for getting it right in the end. I like not your answer. Send me another. Yup, this was exactly the same letter as the previous time, only with a different date at the top. To say we are disappointed is definitely an understatement. Needless to say Miss B has written another letter, which is on its way. We’re expecting the exact same reply again, but they are having another chance to save face. Here goes nothing (but another stamp!). It has been a while since I posted an update on my campaigning exploits, which I will claim is in order to avoid derailing this blog too badly, but is actually more due to me not getting around to it. Anyway, here is the latest. I’m afraid it goes on a bit. I wrote to you on 17th February (2 weeks ago) with a follow-up to a query about the gender-based display of toys in your shops. I received an automated reply quickly, but have heard nothing else since. Would it be possible for someone to let me know if WH Smith intends to change its toy displays to remove this bias, please, or give me some indication on the company’s stance on this issue. My previous emails, along with the original reply from one of your customer relations staff are below. I am very sorry that you were unhappy with our previous response. I have passed your comments on to our buying team who will take this into consideration. If I can be of any help in the meantime then please let me know. Now, I have been really trying to think positively about this whole argument and not assume the worst of WH Smith, but when I get this sort of robotic reply that effectively parrots part of their original response, my hackles start to rise. The whole reason for my dissatisfaction last time was that they basically said, “Sorry you are unhappy, I’ve informed our buying team,” when I think the buying team is a wholly inappropriate place for this sort of query to end up. Maybe it was time to take a different tack. At the suggestion of a friend, I tried contacting one of WH Smiths’ non-executive directors, who seemed to be slightly appropriate. Not having proper contact details, I fired off a tweet to her, trying to be polite and just asking for help finding the right person to talk to. The next morning I was absolutely delighted to have received an “I’m on it!” type tweet. As you might imagine, I was in a great mood, actually thinking that things were finally progressing. It was not to be. A few hours later, when I actually had some time to get online and think about what to do next I found that the tweeted reply had been deleted and said director had announced that her Twitter account had been compromised and that anyone who had followed a link tweeted by her should probably change their password. The reason I was unhappy with your previous response was that you forwarded my comments to the buying team, which I felt was the wrong place for the discussion to go, as how you present stock in your shops is nothing to do with purchasing. Now I find that you have treated my follow-up email in the same way. I’m sure you can appreciate that this makes me feel very frustrated with the whole process and gives me the impression that my emails have not actually been read. So, taking a step back for a moment, I have a query about how shelf displays are designed and implemented within WH Smith shops. Could you please either forward my query to someone who has some responsibility for that element of the business, or give me contact details for someone I can talk to about it. Many thanks for your recent ‘tweet’ to [Director], which has been passed to me to respond. 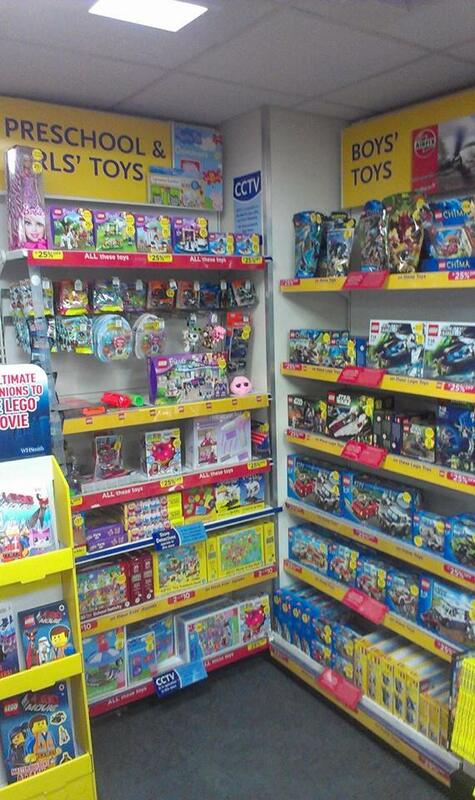 I can confirm that the toy range in our high street stores is focused on best sellers in the market. Our share of the toy market is less than 2% and we therefore aim to display products by type, so that it is easy for customers to find what they are looking for, given the limited space dedicated to toys within the majority of our stores. We do value all customer feedback and would like to thank you for taking the time to contact us. Wow, so my tweet seems to have actually had some effect after all. OK, so they are still missing the point, but we now appear to be at least talking about the same thing. I suspect that in WH Smith, a Co-ordinator is not a high rank, but I am taking this as progress. Many thanks for your email. As you are contacting me via email I assume you have found my emails in the Customer Relations system somewhere and have read my comments. 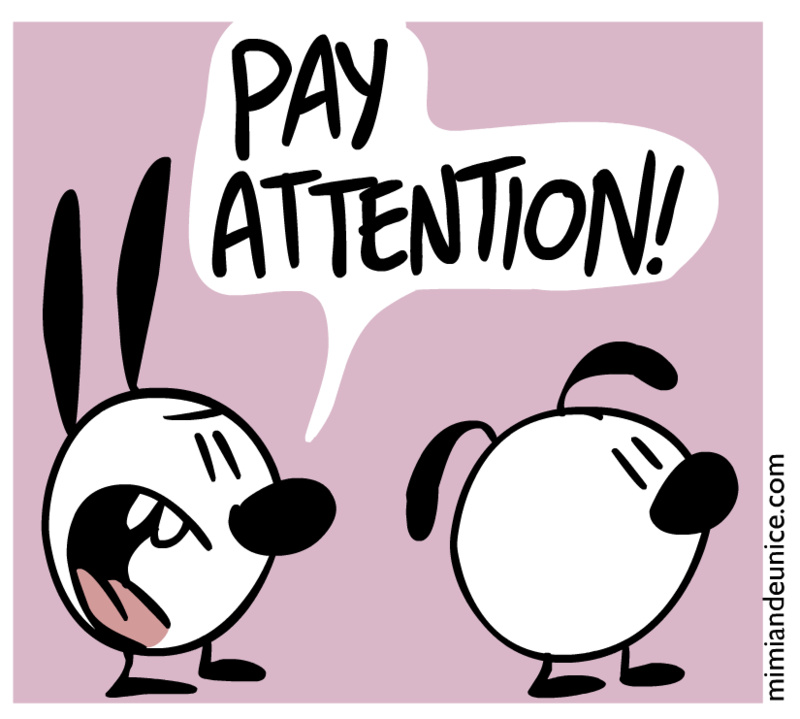 I will, however summarise my argument as it relates to your response. You say that you display products by type so as to make it easier for customers to find what they are looking for, and this is all well and good, but I would argue that “boys’ toys” and “girls’ toys” are not meaningful or appropriate categories of product. To say that, for instance, craft toys are for girls and science toys are for boys reinforces outdated and unhelpful stereotypes which have an influence on both the children and the people who buy toys for them. Surely it is possible to label shelves as containing craft and construction toys, domestic toys, dolls and soft toys, toy vehicles, and so on. In the case of WH Smith, where there is often only a small area devoted to toys, then isn’t just “toys” an appropriate label? I appreciate that WH Smith is not primarily a toy retailer, but it does have enormous visibility on many High Streets throughout the UK and a great deal of influence on shoppers. Many other retailers out there are starting to realise that gender segregation of toys is no longer appropriate or acceptable and are realising that by making a small change in how they label or organise their stock they can send a positive message to their customers and make the country just a little better for our children. Please can WH Smith become one of these forward thinking companies? So, that’s where we are now. I’ll report back again as and when there are any other developments. Just as a bit of a postscript, it is worth noting that WH Smith can get it right, and are doing the right thing in at least some of their stores. All it would really take for this whole business to be put to bed — from my point of view, anyway — is for them to engage and say that they are working on it, and have already made the change in some shops. I would probably follow up with a request for some sort of a timetable, but then leave it at that (assuming they don’t rile me in some way). But I’m not going to make it that easy for them. I want someone to show evidence of thinking. After my little foray into activism a few days ago, I am pleased to say that I received a reply from Customer Relations at WH Smith. I am less pleased to say that the reply was pretty much a boiler plate “sorry you aren’t happy, we’ll bear your views in mind” which didn’t really fill me with confidence that they are taking the matter seriously. I am very sorry that you are unhappy with the display of toys in store. We stock a wide range of toys and try to meet the needs of all of our customers and make products easy to locate. I’ve passed your feedback on to our Buyer and I can assure you that it will be taken into consideration during our next range review. If I can help further please don’t hesitate to contact me. Now, I wasn’t expecting the earth to shake and a thousand WH Smith employees to be instantly mobilised in order to appease me and my radical opinions, but I was hoping to receive a reply that made me think that somebody had actually thought about the issue. Can I actually be the only person that has written to them about this? Thankyou for replying to my email. I understand that WH Smith must decide how best to present stock to customers in order to ensure your customers find what they are looking for and can make their purchase. However, I am trying to point out that you can achieve this aim in different — and potentially more effective — ways than simply presenting a selection of toys for either boys or girls, ways that do not reinforce unhelpful gender stereotypes that can cause problems for girls and boys alike. This is not an issue of reviewing your range. The range of toys in your stores is completely unrelated to how they are presented to your customers. This is all about what message you are sending to boys and girls as well as the adults who buy toys for them. From what I can see in the Wantage store, you are suggesting that craft toys are for girls and space toys are for boys. It is a small thing, but this detail is insidious and in a world where we are trying to encourage women into technical fields, which have been traditionally male-dominated, the small details can add up to work against all the efforts of schools, governments and these fields themselves. Similarly, when the images of, say, craft and childcare are reinforced as being something for girls, this discourages boys from leading rewarding lives in these areas. The whole of society is made less because of this. WH Smith must, of course, make its own business decisions, but please, please take this issue seriously. It may seem a small and irrelevant thing to some, but there are a lot of people out there who would just love to promote businesses who help to move this cause forward. Campaign groups like Let Toys Be Toys and Pink Stinks (who, despite the name, are not wanting to ban the colour pink!) are genuinely looking for leadership in making this form of casual discrimination a thing of the past and, I’m sure, would be more than happy to spread the word of any improvements you can make. Thank you again for your attention. Please give this some real thought. In a bit of a diversion from the usual subject matter for this blog I’d like to say just a few words about the gendering of toys. Umm, isn’t Lego, like, for everyone? Why today? Well, today I popped in to our local WH Smith’s shop. For those of you not in the UK, WH Smiths is a chain of newsagents/stationers with a shop on most high streets in the country. They sell toys and games too, the quantity varying from store to store. Today, however, I actually noticed that the toys were divided into those for boys and those for girls. This is an unsettlingly common practice, and one that a lot of people are trying to change. Why can’t toys just be toys? Sure, you can have sections for construction toys, cars, dolls, domestic toys, and stuff like that, but why do you need to send a message that girls shouldn’t really be building Lego spaceships, or boys shouldn’t be playing with baby dolls? I know the counter argument that kids show this sort of preference anyway without any encouragement from adults or marketing, but I’m not sure I buy that. Are we really sure we aren’t projecting the biases ourselves? Whole can of worms, that one. I am a strong believer that toys are just toys and if a boy wants to play with toy pet animals, or a girl wants to play with Star Wars Lego (as my 7-year-old daughter does) then either is fine and to be encouraged. I know that simply labelling a shelf as for boys or girls does not actually limit play, but it does send a message of what society expects of our children and reinforces stereotypes, adding to the weight of pressure that discourages girls from being scientists and engineers as well as keeping boys from the caring professions, home making, and so on. WH Smith is definitely not the worst offender in this regard, but I would still urge you to rethink how toys are presented in your stores to children and to the people who buy toys for them. Surely in this day and age we should be beyond simple gender stereotypes and should be doing our best to encourage all forms of creative play to all children so they can grow up to fulfil their potential free from centuries-old biases. And finally, here is a nice infographic to help you tell if a toy is for boys or girls.